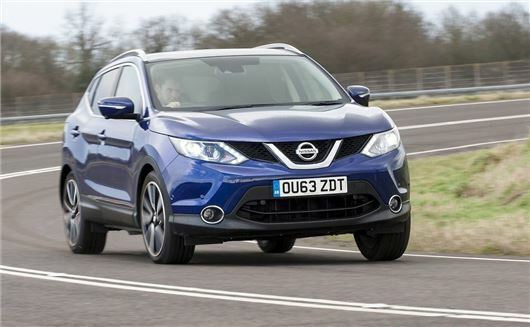 UK Car Discount has the following deals on 64 plate Nissan Qashqai cars. All vehicles come with full Nissan warranty and free delivery in mainland UK, and you will be the first registered keeper. You only pay for the car after you have inspected it and are totally happy. The Tekna model features 19” alloy wheels, 360° around view monitor, automatic headlights and windscreen wipers, colour front, rear and side view cameras, intelligent key, intelligent park assist, 7” touch screen, start push button and leather trim interior. Visia models features 16” steel wheels, front and rear power windows, manual air con with pollen filter, cruise control and speed limiter. The Acenta model features 17” alloy wheels, dual zone climate control, automatic headlights and windscreen wipers, leather covered steering wheel and gear knob. The N-Tec model features 18” alloy wheels, dual zone climate control, automatic headlights and windscreen wiper, intelligent key, 7” touch screen, start push button, 360 around view monitor, leather steering wheel and gear knob. N-tec+ models add satin silver roof rails and panoramic glass roof. Many more new 64 plate Nissan Qashqai deals are available, visit the UK Car Discount website for more info.